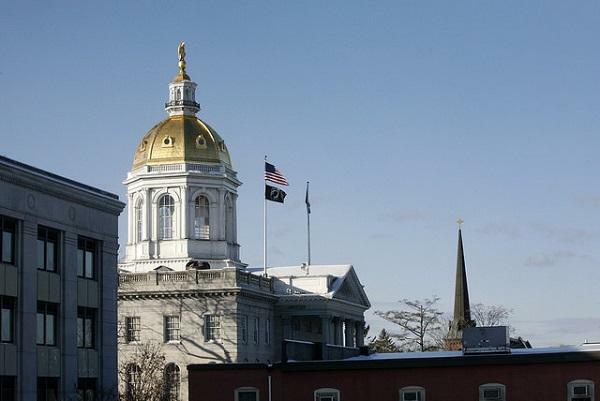 The 2019 legislative session begins Wednesday with a vote on gun control in the New Hampshire State House. The House, which is newly controlled by Democrats - will vote on whether to pass a ban on bringing guns into Representatives Hall. The ban does not require the Governor’s signature and is expected to pass. In response to the anticipated ban, the New Hampshire Republican Party is organizing a pro-Second Amendment rally in front of the State House on Wednesday morning. Joe Sweeney, communications director for the N.H. GOP, says the rally is a reminder to Democrats. “It’s going to show the Democrats in the House that if they want to go forward with these bills regulating different types of firearms and what not, they’re gonna face some opposition in the Granite State,” Sweeney says. The policy of banning firearms in the House has flipped back and forth over the past decade, depending on which party holds the majority. In one of his first major acts as House Speaker, Democrat Steve Shurtleff will try to bring back a ban on weapons inside the House chamber.